HARRISBURG (WSKG) – The state Auditor General’s office has released a report showing a provider of abortion-alternative services has misused taxpayer dollars. That includes using some of its grant money for out-of-state promotions. All of it was supposed to go to the subcontractors that actually carry out abortion alternative services. 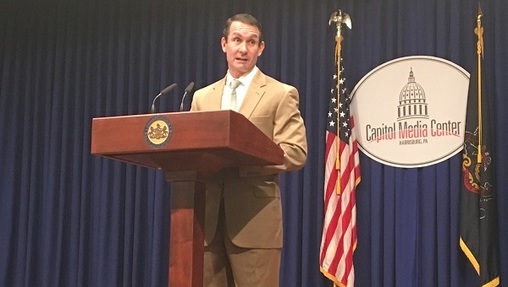 But Auditor General Eugene DePasquale said the organization has been withholding three percent of the grants from each subcontractor and using the money to self-promote–sometimes, outside of Pennsylvania. After the review was launched, the group sued–alleging auditors were asking for access to private funds. But over the course of testimony, the organization acknowledged it does charge a subcontractor fee, and that money is sometimes used out-of-state. “The idea of using Pennsylvania taxpayer dollars outside of Pennsylvania should outrage every single Pennsylvanian,” DePasquale said. DePasquale couldn’t get data on how much money Real Alternatives retained in all. But over the three years of the audit, it found the organization collected nearly half a million dollars. A lawyer for Real Alternatives did not respond to a request for comment.